This is an urgent and humble request from the unfortunate and deeply broken parents of a blood cancer (Leukemia) hit child, Master Hardik. He is just 10 years old and has been fighting with the dreaded disease since 2015 when he was just around 8 years. 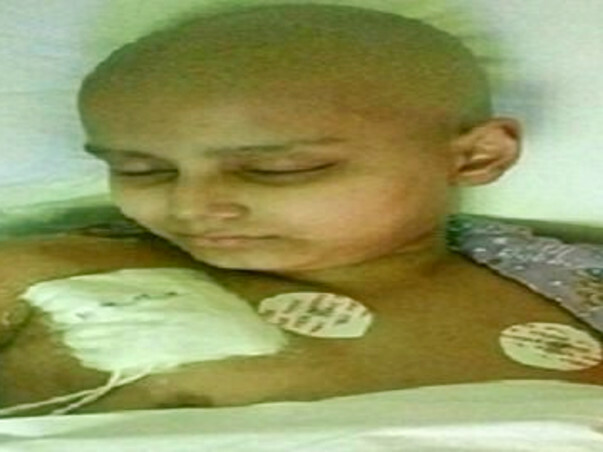 In this period he has gone through multiple and strong Chemotherapies, Lumbar Punctures.Bone marrow transplant has also been performed however nothing worked and the child's disease has relapsed again and again. 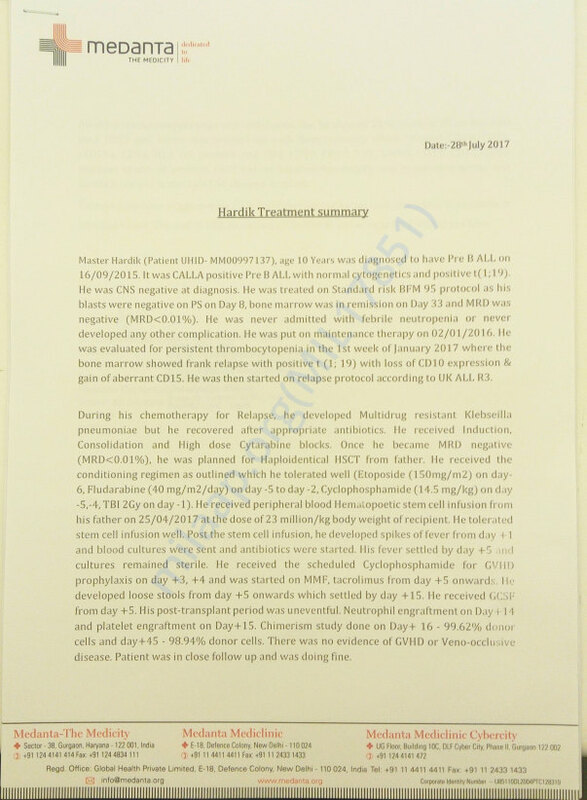 Chemotherapies have stopped working and the last option which was through bone marrow transplant in India has been unsuccessful. 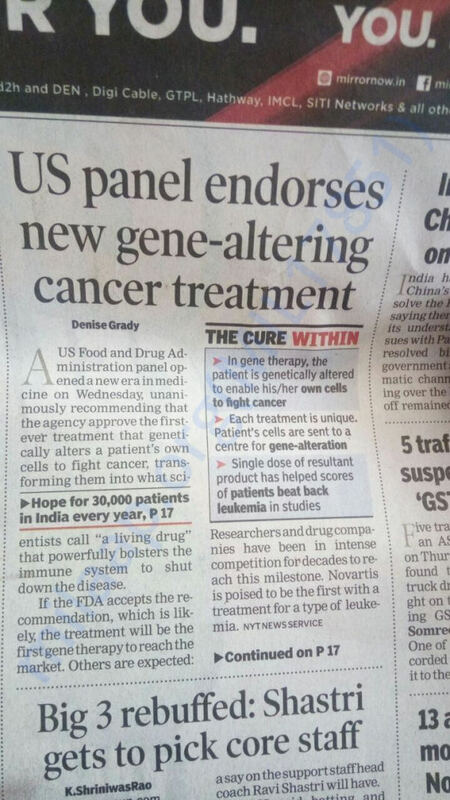 There is one remarkable treatment for such a rare case abroad in USA and China through Genetic treatment (Gene Therapy - details attached herewith); this is a very promising and only treatment available which can save our child. 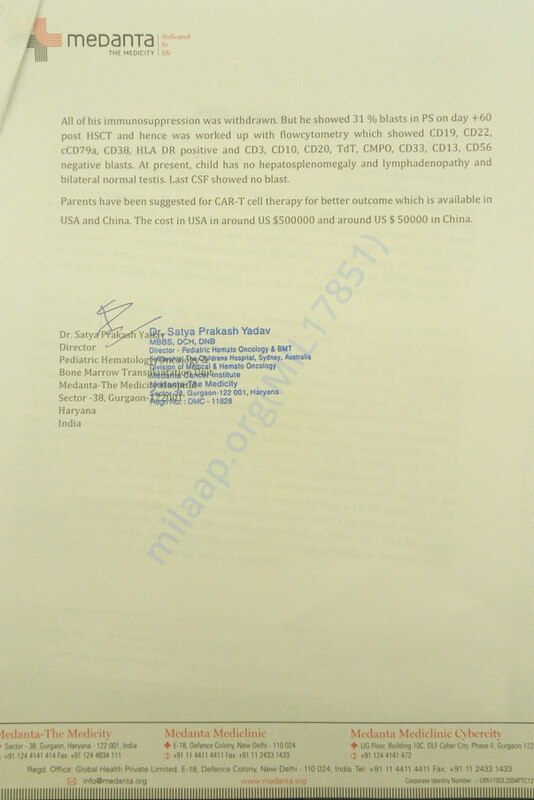 We parents have already spent huge amount on chemotherapies, Lumbar punctures, long stays at hospital due to infection and BONE MARROW TRANSPLANT. we have exhausted all our resources and overburdened with debt as we have been continuously trying out the best possible way to save our child. YOU are the only hope who can provide a new life not only to our child but to us as parents as we are nothing without him. Kindly help us for getting this treatment done and give him a new life. Please help us as the time is short. I am shocked and broken to share with you that our Hardik has left us for his journey to heavens. Hardik was a great warrior and fought strongly with the disease however god has been very unkind. All funds raised helped him get the best medical care possible. We, parents of Hardik, thank you all for all the support, love and care.